Now it's Meebo after Yahoo V9. 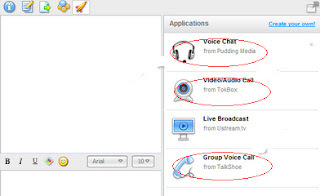 Recently, Meebo has added media playing features like videoaudio call, group voice call on IM interface. See below the pic for new features of meebo IM. So, go ahead and have video conference with your peer by logging on to meebo IM.